Walkie-talkies have been a kid favorite for years. Your child is starting to develop the necessary cognitive functions to speak and communicate their thoughts and emotions. This is why children also love two-way radios. Not only are they easy for a child to use but they’ll love the way that they’ll be able to whisper in their spy voice to their best friend a block away, or to their trusty family member from a different room in the house or even passing messages along for secret club meetings. Whatever the case, your child will have endless hours of fun using any one of these walkie-talkies on our list below. We narrowed down our list and made it to the top 10 of the highest-rated walkie-talkies in the market today. We even added a new selection as well for you to choose from. 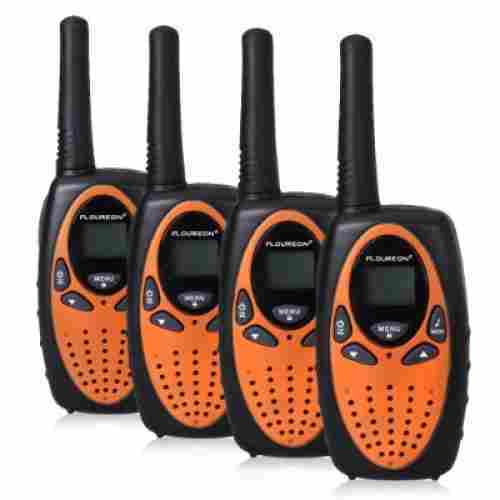 The Lambow FRS/GRS Handheld Walkie Talkies are a great addition to any family. 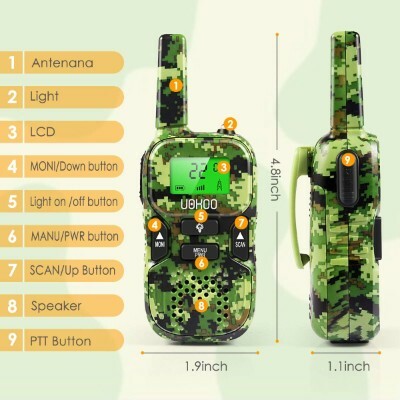 Whether you want a way to communicate with your little ones from the house while they play outside, or you all intend to explore the great outdoors together and need a way to converse from across the field, this product is equipped for the job. They come in three fun patterns: a camouflage for the covert missions, a bright solid pink for when you’re feeling bold, or a standard yellow with a red backlight for a funky, edgy feel. The maximum range spans 6 km, or roughly 3.7 miles but this only works if you’re in an open field with little structural interference. An auto squelch function dampens background noise to deliver a crisp, clear sound when users are talking. You can use these even on the local park’s busiest of days. Tired of the measly two-packs? Get more gear in one go when you purchase the Floureon 22 Channel Four Pack. 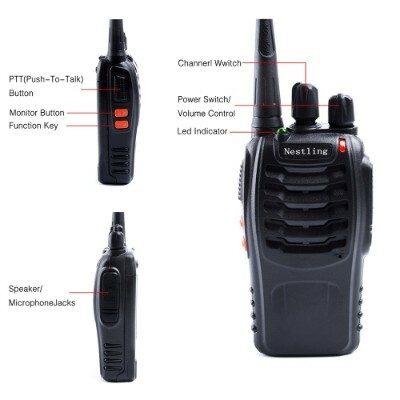 These walkie talkies have an auto squelch function to mute background noise and deliver the intended message clearly, come with adjustable volume knobs, feature twenty two channels, and an LCD screen with icons to indicate transmission, receiving, and low battery power. The material is durable and environmentally friendly, and the product comes with detachable belt clips and a one year warranty. The talk range is roughly 3 KM (5 in an open field), and the unit will audibly alert you when you’re about to receive a new transmission. 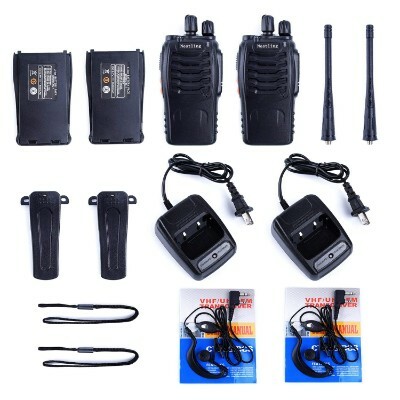 Two walkie-talkies often aren’t enough, and buying multiple packs can add up. These are well priced for their quality, accessible for all ages, and function with a clear, crisp sound as long as they’re being used in their suggested range. 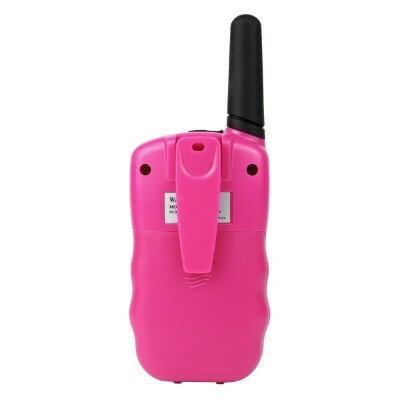 The blue version of this product appears to be an entirely different walkie talkie, this version only comes in pink. 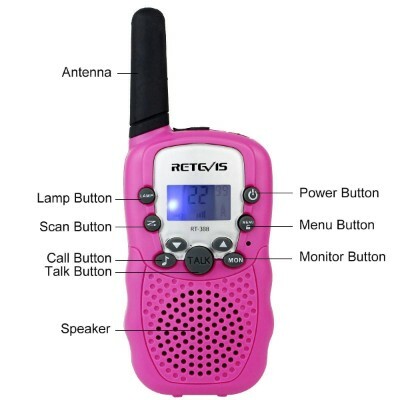 If you have a daughter who is a fan of outdoor excursions and adventures, this product from Retevis is perfect for you. Give her the reliability of shortwave communications paired with rechargeable batteries, meaning no worrying about keeping good batteries around the house. Keep in touch with your child for up to 9,000 feet. This set includes an LED torch, making dark environments easier to navigate and communicate in. 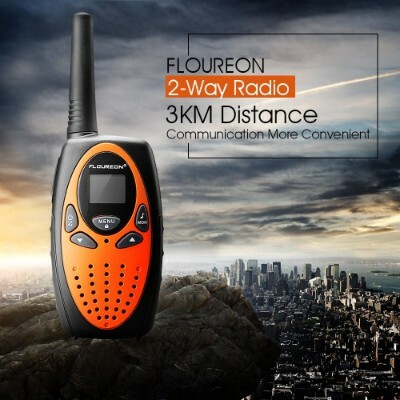 If you are looking to get radios for the whole family, this product from Floureon may be perfect for you. 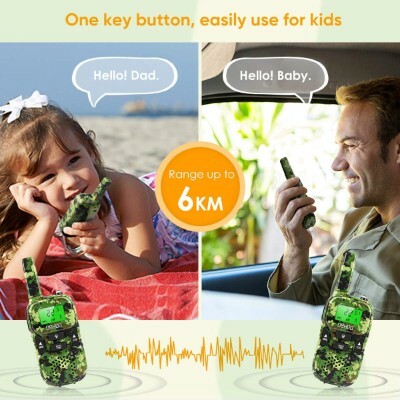 These bright and kid-friendly walkie talkies from Floureon will be great for your family on picnics or outings at the park, giving them some room to roam free while keeping you just a button’s push away. The color options make this set unisex and customizable. 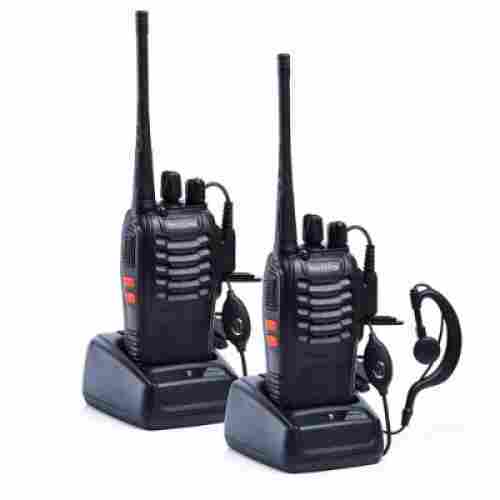 These two-way radios include twenty-two channels and over three miles of effective range in favorable conditions. The four-pack option makes it easier for large families to keep connected. 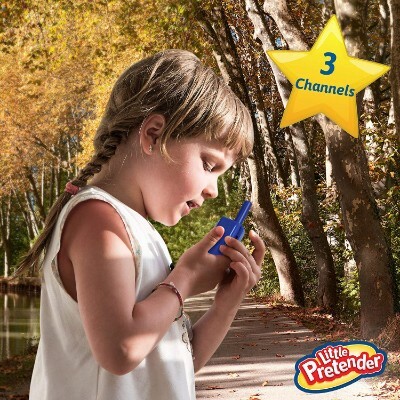 When it comes to sleek two-way radios that kids love, you need look no further than this set from Little Pretender. 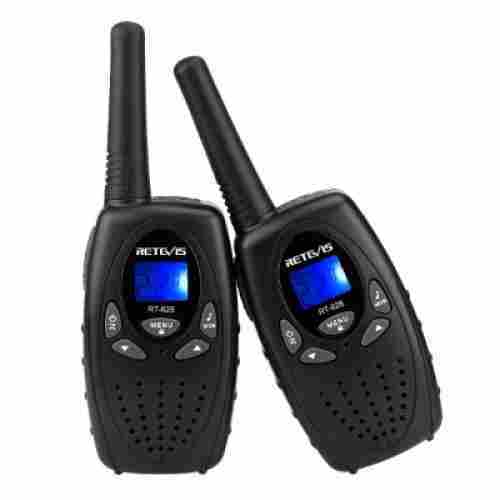 These vibrant blue two-way radios are interfaced perfectly for the needs of children, including three distinct channels for them to choose from. It also has two miles worth of efficient range. They can keep communications up with you while they are out in the treehouse, or organize meetings and games with their friends. 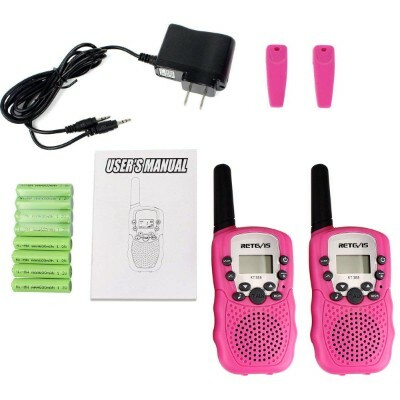 This set of radios from Little Pretender is custom-cut for the needs of your child, giving them a competent set of walkie talkies that will fit their hands and ears perfectly. The set also includes a belt clip for hands-free operations and a call-alert function for when they really need to get their friend’s attention. Offers both video and audio communications. Has a range of up to 160 feet, making it great for in house and backyard play time. Easy and simple set up. Just press the activation button and you’re ready for daring spy adventures! The audio capability can also be used as a secret camera for covert operations. The Walkie Talkies fold up into a compact design for easy and discreet transportation. Very short battery life ranging from 1 to 2 hours of active usage. 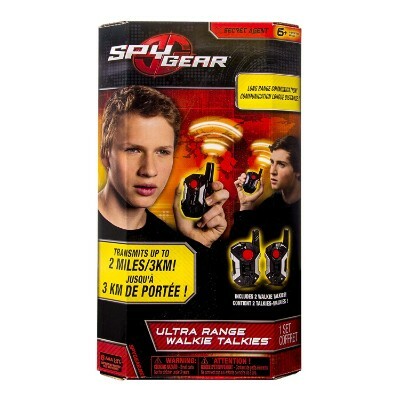 Whether it is Ethan Hunt, Jason Bourne, or even James Bond that your child aspires to become, he or she will need the Spy Gear Video Walkie Talkies for kids. 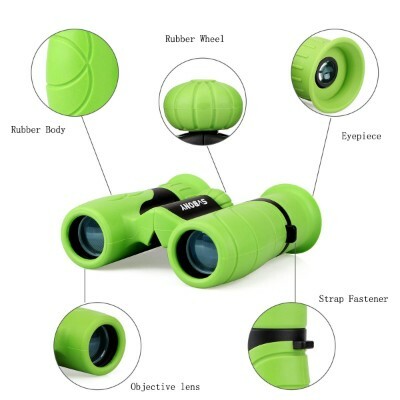 If you have a smartphone and you’re able to make a video call using your device, then this is essentially what the Spy Gear VWT does but in a design that mimics spy gadgets. When closed, the Spy Gear VWT resembles a very inconspicuous box that enemy units will never think as a communications device. 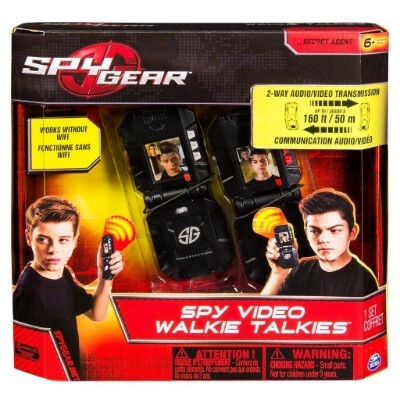 Once your kid flips it open, it becomes a video communications platform allowing your child to seamlessly communicate with other spies in the area as long as they are within 160 feet. The video feeds make it extremely easy to communicate and observe your partner, adding to the spy theme and immersing the children in imaginative play. 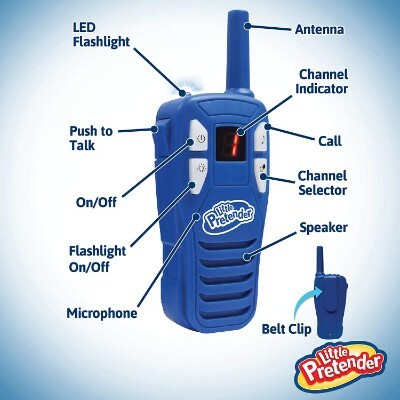 For your little one who loves secret codes and spy missions, this kid-friendly walkie-talkie is perfect for your child. It has the ability to be able to listen to 22 other radio channels so parents might want to supervise. It’s made of safe materials and it also mutes any other sound so you only hear what your child has to say. It has a range of up to 4 miles so even if you went on a small family hike, your child would be able to follow along the way and tell you everything that they see. This is perfect for your young spy enthusiast. It’s small enough to fit even the tiniest of hands and easy enough that your child will be able to figure out how to use it. 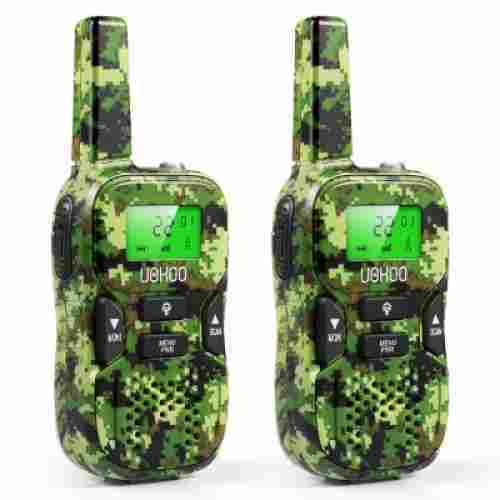 A lower range Walkie Talkie that can get clear signals from a half mile to 1 and a half miles. VOX functionality creates an easy, hands free experience for your child and their friends. 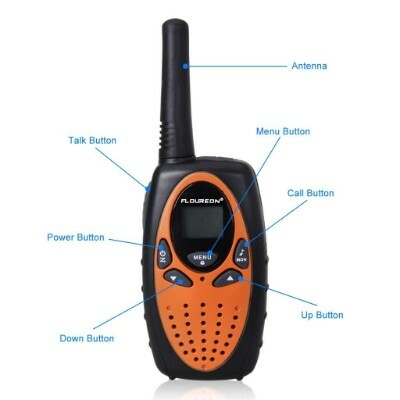 Includes GMR channels and 22 FRS (Family Radio Service), making these Walkie Talkies extra child-friendly. Easy button access includes a menu, volume, and frequency button so children can easily operate the device. Includes a belt clip-on that can also be attached to other clothing items such as shirt or pants pockets. Depending on the environment, the signals and frequencies can be distributed very easily. To avoid this, trying to play in backyards and neighborhoods only. The TR628 is perfect for families who want to keep in touch with everyone else, especially their kids when they go outdoors. Even indoors, this is an excellent radio communications device to have. With 22 different GMRS and FRS channels to choose from in one convenient unit, the TR628 VOX UHF Portable Kids Walkie Talkies is one of the best gifts you can give your children. It has a monitor and scanning functions as well as the ability to set the transmission, sensitivity, and squelch levels. It also has a very durable and rugged design that helps protect it against accidental falls and any jarring events. 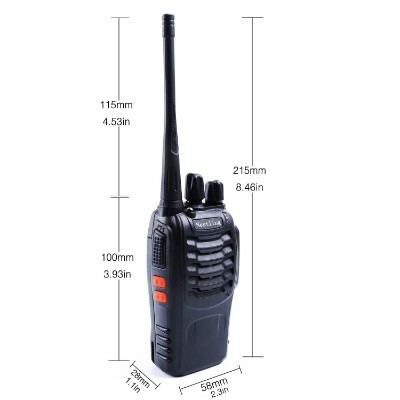 The design of the TR628 will remind you that it is a handheld radio transceiver with an effective range of 8,000 feet; although we believe this may vary depending on your location. You can easily lock the channel of each of these units so your kid will not be able to change the settings, enabling you instant access anytime, every time. Its VOX function also gives you the added benefit of communicating with your child on a hands-free basis. This also makes it super easy to operate especially for young children. 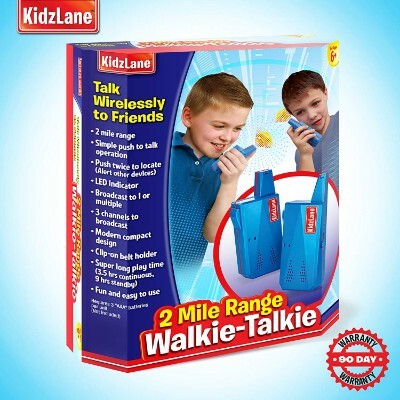 he Kidzlane Durable Walkie Talkies have a max. range of 2 miles, making them an instant hit with kids all over the neighborhood. Offers up to 3 channels for multiple conversations and missions with friends. Comes with 2 Walkie Talkies, and batteries are included so your child and their best friend can start playing immediately. 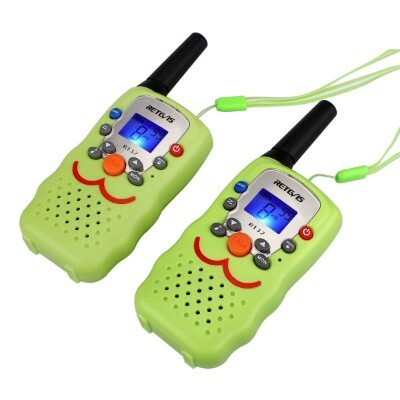 These Walkie Talkies are super simple for children to use that’s to the push-to-talk function. Features a belt clip for easy carrying, thus reducing the chances of dropping the Walkie Talkie. 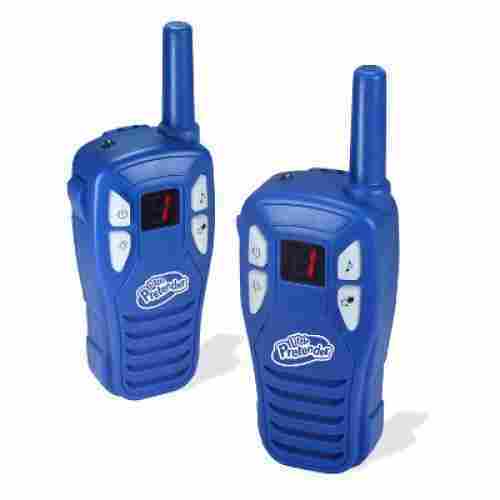 These Walkie Talkies go through batteries very fast. 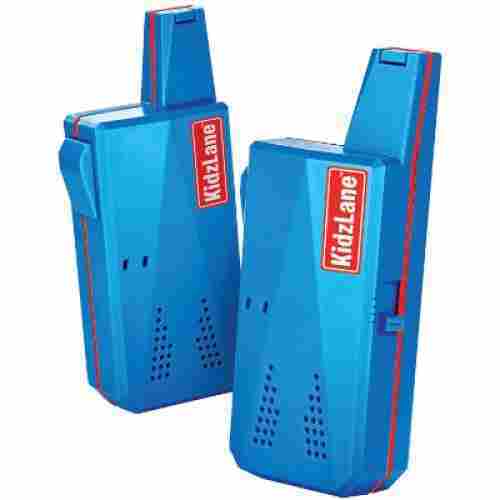 This Kidzlane product may look like some cheap walkie talkies that you can easily buy from a sidewalk vendor but, in reality, it’s one of the well-received and well-respected kiddie handheld radios in the market today. The boxy design often fools a lot of parents thinking that it is nothing more than a pair of rectangular shaped device with a bulky antenna sticking in one corner of its top. 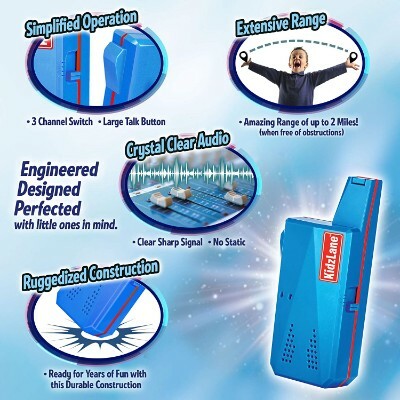 But the Kidzlane Durable Walkie Talkies is a very functional handheld radio transceiver The Kidzlane Durable also comes with 3 entirely different channel operations to allow for some super spy kids’ stuff conversations. It is able to provide excellent wireless communication for up to a range of 2 miles. This simply means that kids will have an absolutely fantastic time communicating with one another even if they live several blocks away from each other. 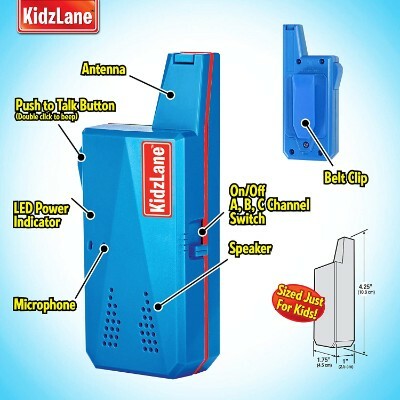 Kidzlane makes quality Walkie Talkies for long distance communication. We find this type of long distance communication very beneficial to a child’s social and cooperative skills. 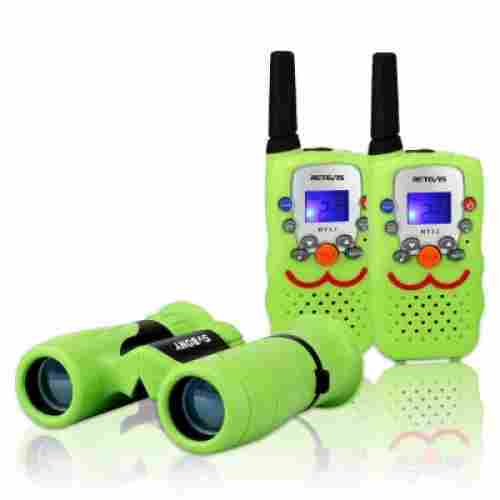 Because these Walkie Talkies are so simple to use, children can focus on fun mission all over the neighborhood with their best friends while still performing their own tasks. This type of long distance communication still allows for children to participate in cooperative playtime and social interactions, while also maintaining their own sense of independent playtime. Its easy operation makes it ideal for kids to play with while its unassuming design leaves something for children’s imagination to work with. VOX functionality creates an easy, hands-free experience for your child and their friends. 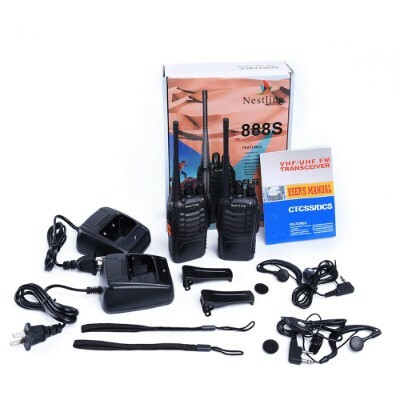 Includes GMR channels and 22 FRS (Family Radio Service), making these Walkie Talkies extra child-friendly. Easy button access includes a menu, volume, and frequency button so children can easily operate the device. 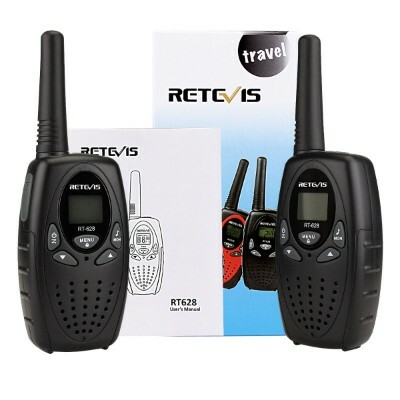 If you’re looking for great walkie talkies for sale, you might want to consider the more child-friendly cousin of the Retevis TR628, the RT32. It has essentially the same features, except that the design of the Retevis RT32 is more colorful and playful. The smiley design can help entice young children to use it with gusto. 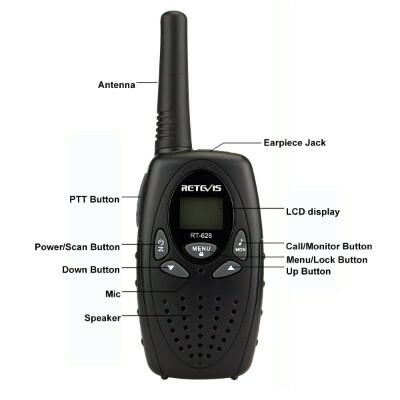 It comes with the same 22-channel feature that operates on either FRS or GMRS. The VOX function comes as standard as well. It has the range of up to 1 and a half miles. Its operation has also been simplified for young children. The LED display has a much brighter screen with a blue backlight enabling your kids to read the different settings of the RT32. The kit comes with a sling that attaches to the unit allowing it to be conveniently slung over your kid’s neck like a necklace instead of the usual belt clip which has a greater chance of getting dislodged. These handheld radio transceivers run on some form of power and as such, it was imperative for us to look at the product’s design integrity, particularly its power source. There have been a lot of issues lately about exploding rechargeable battery systems so we have to be sure that these products have been dutifully tested and passed the stringent requirements of the federal government. Your kid may have fun playing with these electronic gadgets but if they get injured in the process, then that would be unfortunate. A small part of our evaluation took into consideration the overall style of the walkie talkie for kids. As children, these devices must be seen more as toys and not the real stuff, although they do function like the real ones. Therefore, their design must be loved by kids. And if kids love it, parents will be happy too. Picking a radio communications device for kids was not really difficult since what we were really after was the functionality of the toy. 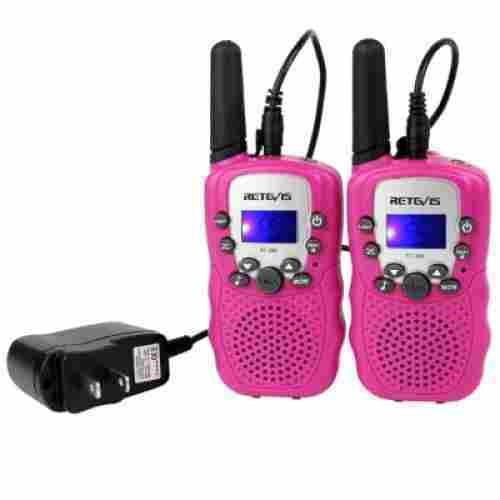 It is essential that these radio transceivers provide a means of communication between two kids over some distance. It really did not matter for us whether the effective radius of communication was only several meters apart or even several miles. The more important thing was that the device was able to introduce the concept of “long-distance” communication, which is essentially the very nature of walkie-talkies. 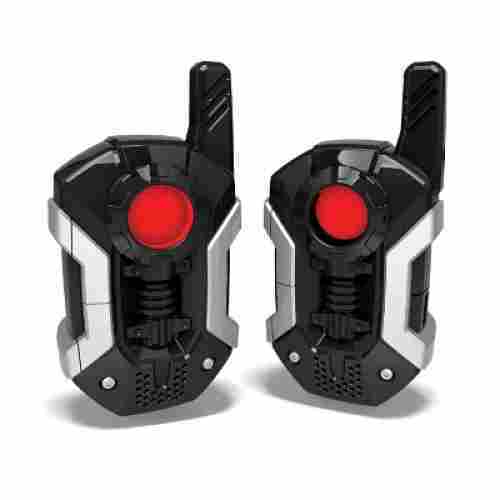 When compiling our list, we made sure that the Walkie Talkies on our list could easily be used by the push of a button. We wanted your child to easily be able to talk to you when separated on outdoor adventures. Walkie Talkies are a way to increase your child's social skills as it encourages them to communicate with others. Different scenarios often present different challenges or problems. These will require the problem-solving skills of children as they attempt to work out the solutions to the different challenges. 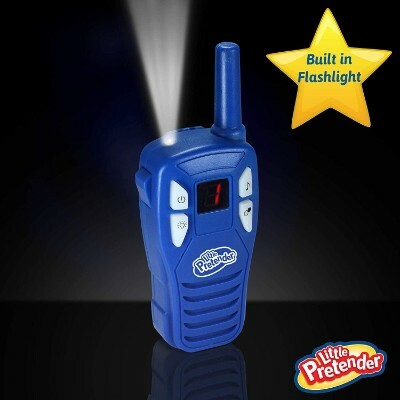 Walkie Talkies are a great way to improve your child's problem-solving skills while also engaging in imaginative play. While having these devices around your house can be fun and engaging for children, there are risks. If there’s no supervision or proper monitoring, the devices themselves could pick up other signals such as ham radios which can expose your children to people that you and they do not know. This was concerning for us when we considered safety. We researched and took caution with each range of the walkie-talkies and the specific signals that they pick up. A lot of the devices on our list only have a signal range of 200 feet. This makes it extremely unlikely that your children will encounter anyone besides whoever else is using the walkie-talkies. When looking at the signal, we judged the strength and frequency of each walkie-talkie in comparison to ham radios and other similar devices. While most of them have the chance of crossing with another signal, this is unlikely to happen with these kid-friendly walkie-talkies. q: What’s the importance of long-distance communication between children? Long-distance communication between children is important to their communication and cooperative skills. Walkie-talkies only work if the child has another child to play with and only if both children are willing to cooperate in the activity. Walkie-talkies teach patience and good listening skills because each child needs to carefully listen to what the other says and wait for a response. The long-distance aspect comes into play when the children can be miles apart but still engage in the same activity. q: How does a child understand the concept of long-distance communication? This depends on the age of the child. Children ages 4 to 6 usually understand that the walkie-talkie is not the actual person talking, but they don’t yet understand the science behind the walkie-talkie. They’re still in that "amazed" stage where everything seems magical and wonderful. Children ages 7 to 10 usually grasp the science behind the walkie-talkie, and while they’re no longer amazed by the technology, they still think the devices are very cool. q: What makes walkie-talkies better for long-distance communication versus other products, like a phone? Walkie-talkies have that intrinsic play value to them while phones are seen as an everyday communication device. And, unlike most phones, walkie-talkies can only be used for communicating with another person. They pick up radio signals only and not internet signals, meaning parents have a greater, more comprehensive idea of what’s going on with their child. 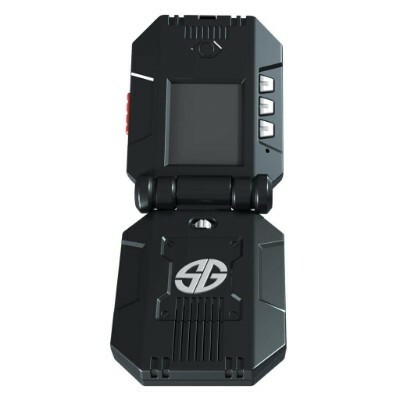 If walkie-talkies aren’t an option for your family, then a brick phone might be a better option as these usually don’t have internet connection and they can only contact a select number of people. q: I’m concerned with my child playing with long-range walkie-talkies. What other options do I have as a parent? There aren’t many other alternatives to walkie-talkies, but, as mentioned previously, you could invest in a “brick” phone. A brick phone is an older model of a cell phone which have limited internet access and are typically only used during emergencies. While you will have to add this phone onto your mobile plan and pay the monthly fee, it allows the parent access to the child at all times. This might seem a bit extreme, but there is no chance of your child picking up other signals or getting calls unless the give out the number. This also can be used as a starter phone to teach your children about phone safety and responsibility. q: How do walkie-talkies support cooperative play time? Because walkie-talkies are designed for communication, it’s nearly impossible to get the full fun out of walkie-talkies without another person. This prompts children to create friends in order play with the walkie-talkies, but also to experience all that these toys have to offer. If your child is still a little shy with these toys, then play with them using the walkie-talkies for a bit before prompting them to find another friend to play with. Once your child has learned how to use the walkie-talkies, it’ll be that much easier to teach others and to play with others. q: What’re the benefits of long-distance communication for children? In general, long-distance communication allows children to have friends all over the world. This exposes them to other cultures and gets them thinking about other ideas and ways of living. But in reference to walkie-talkies, this still allows children to have friends in faraway places, but still within a contained area. The strongest walkie-talkie on this list goes a few miles, allowing children to still communicate and play with their friends even while they’re at home. q: Would walkie-talkies support my child’s interest in technology? Yes! If your child is techy and likes computers, or things of that nature, then walkie-talkies will most certainly support this interest. A great activity to do with your child is to take apart the walkie-talkie and show them how it works. If your child is a tinkerer or just likes to take things apart to see how they work, make a game out of it. Disassemble the walkie-talkie and challenge them to put it back together. Not only is this extremely fun for the child, but very educational and beneficial for their overall knowledge and complex problem-solving skills. q: What are the danger’s associated with walkie-talkies? No matter what toy you purchase for a child, always practice safe play and teach your children about the specific safety of each and every toy. The main danger with walkie-talkies, and what you need to be very clear with your children about, is that the devices can pick up other radio signals. This opens up possible communication with other people, and possibly individuals you don’t want around your children. Create a plan with your child about what to do if they pick up a signal from an unknown source. Tell your child to immediately cut the signal from their own walkie-talkie and locate the nearest adult or safe location. If the child is younger, or you don’t feel comfortable letting them engage in this activity alone, go with them or only allow them to play with the walkie-talkies in a safe, contained location. 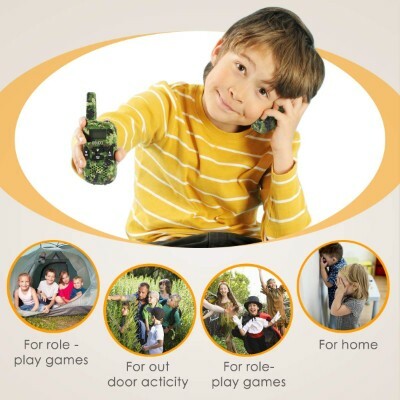 q: How do walkie-talkies support imaginative play? 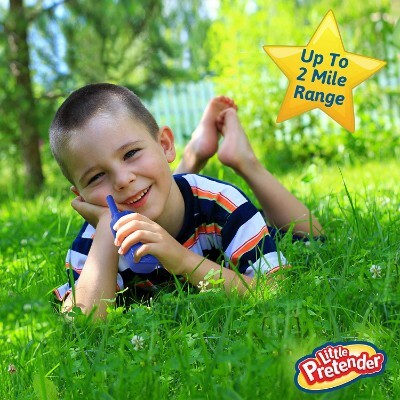 Walkie-talkies support imaginative playtime by engaging three key factors of your child’s brain. By engaging your child’s communication skills, social skills, and creativity, Walkie-talkies produce a well-developed mind space. 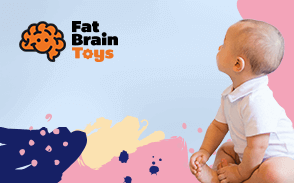 This means that the walkie-talkie promotes your child to use multiple parts of their brain during playtime. 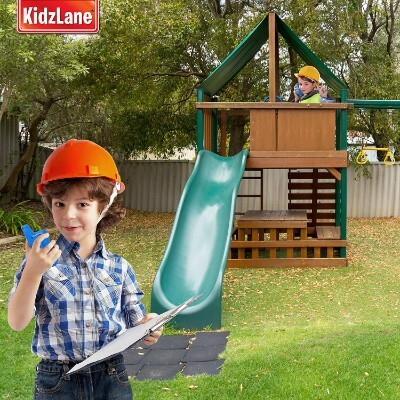 This supports imaginative play by giving your child more ideas and an augmented sense of creativity during playtime. And, best of all, walkie-talkies also support imaginative play by making the practice cooperative. Rather than just playing by themselves, walkie-talkies allow for a child to play over long distances with other children. q: What are the benefits of imaginative play? Imaginative play is great for exercising your child’s creativity, collaboration, and communication skills. Walkie-talkies combine all these aspects into a single toy by allowing the child to not only communicate with their friends over long distances, but also by engaging their creative mind space. 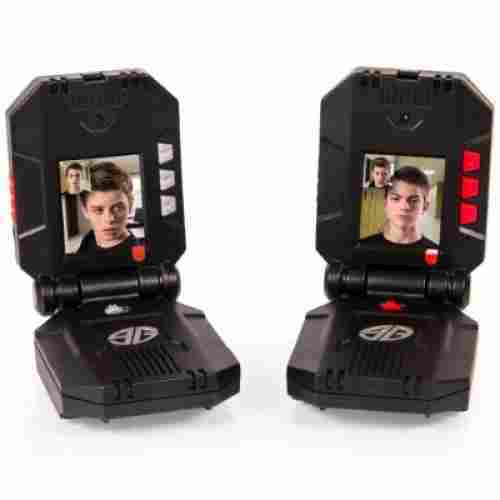 Walkie-talkies can be used to play a number of games and create countless pretend scenarios, thus engaging your children in this creative mind space. Other than exercising your child’s creativity, collaboration, and communication skills, imaginative play also enhances your child’s complex problem-solving ability. This is because both high creativity and communication are indicative of problem-solving abilities.